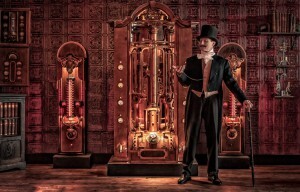 Phileas Fogg’s World of Adventures, an immersive theatre experience with an ever more popular escape room style flavour, has finally opened its doors. Located on Hollingbury’s Crowhurst Road, limited parking is available at the venue, but a handy supermarket near provides ample spaces. Mobile phones and other electronic devices are requested to be put in safe lockers upon entry. “We’ve blocked out the real world. When you go in, families can bond and connect over something” Graham Owen, creator of the experience, told the Argus. The ‘real’ world is further dispelled by the army of actors who refuse to break character, who serve drinks, tamper with devices, and interact with each other as they go about their duties. Be prepared to meet Phileas Fogg, the protagonist of Jules Verne’s Around The World In Eighty Days. 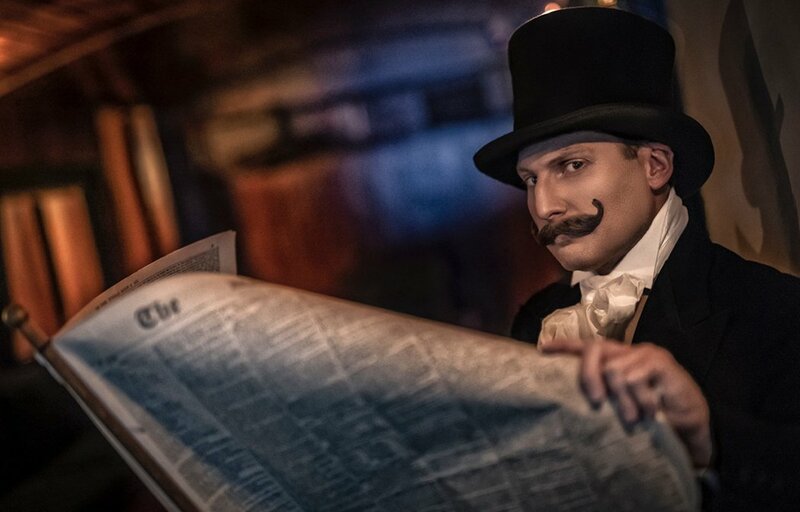 Fogg is about to traverse the World in 80 days in the name of a £20,000 wager, -before being mistaken as a bank robber by a detective from Scotland Yard and stalked on his journey. You and your group must help Fogg win his bet by travelling the globe with him and collecting an artefact from each country you visit. On the agenda are a Crystal Maze-like selection of riddles, puzzles, time trial challenges, and more. Alongside a darker and more serious route, there’s a more family-friendly adventure for little-ones on Saturday mornings. Deals are also available on family tickets and under-three tickets for the family route. The sets and costume design of the experience are brilliant. Created by Craft Work, a team of experts who’ve created sets for blockbusters like Star Wars: Episode VIII, Fantastic Beasts and Where to Find Them, and Skyfall, the magic of their special effects work is extraordinary and engrossing. It also extends beyond the route you take with Fogg. The entirety of this former Police custody centre has been transformed. Upstairs is: a themed café/bar (offering their own Phileas Fogg lager), an indoor ‘garden’ with fairy lights and plants, a boardroom (perfect for business meetings), a games room with a full-size snooker table, and more. These can all be hired for hen or stag dos, corporate events, and birthday parties, or anything else you’d like to hire it for. Modelled after the famous Reform Club, this splendid area will ensure the fun continues after adventure’s end. A bold new addition to Brighton’s theatrical scene, this is a classic odyssey lovingly brought to life.